(Stafford Springs, CT)—With the 2017 season underway at Stafford Speedway, one of the feel good stories of the season has to be the performance of East Hampton native and SK Light driver Rick Williams. Williams began his racing career in the SK Light division back in 2009 and he ran every year before taking a break following the 2013 season. While Williams recorded a total of 17 top-10 finishes with a best finish of third in those five seasons, his 2017 season has been a break-out performance. Williams has recorded three consecutive top-7 finishes to start of the year and he is currently sitting in second place in the SK Light points standings. One area that Williams can point to for the uptick in his on track performance is the assistance of Dave Etheridge on his crew. 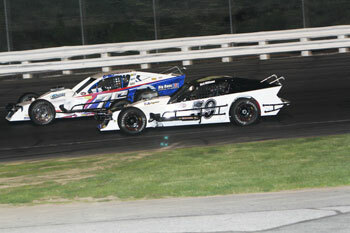 Etheridge formerly was a weekly competitor in Stafford’s ProStock division and he ran the NASCAR Whelen Modified Tour before chasing checkered flags with the Valenti Modified Racing Series. 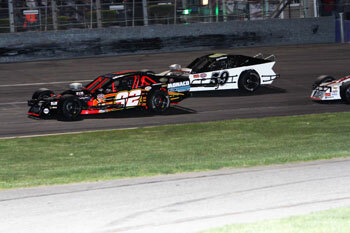 With his current second place ranking in the SK Light points standings, Williams is guaranteed a starting spot in the Dunleavy’s Modifiedz Night feature on June 9th. With over $10,000 in total posted awards up for grabs during the extra distance 40-lap race, it will be the largest purse Williams has ever raced for and he is excited about the chance to take the green flag in the race. 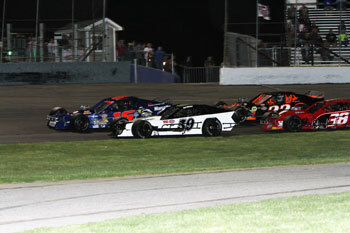 The SK Lights, along with the four NASCAR Whelen All-American Series divisions will take to the track on June 9th with qualifying beginning at 6:15pm. Tickets for this event are on sale now and are priced at $20.00 for adult general admission tickets, $5.00 for children ages 6-14, and children ages 5 and under are admitted free of charge when accompanied by an adult. Reserved seat tickets are $23.00 for all ages. This Friday night is also Military Appreciation Night and anyone who shows a valid military I.D. at the gates will receive a general admission ticket for only $10. All ticket prices include 10% CT Admission Tax. Stafford Motor Speedway offers plenty of free parking along with overnight parking available for self contained Recreational Vehicles. As part of the Dunleavy’s Modifiedz Night festivities there will be a fireworks presentation at the conclusion of feature racing.